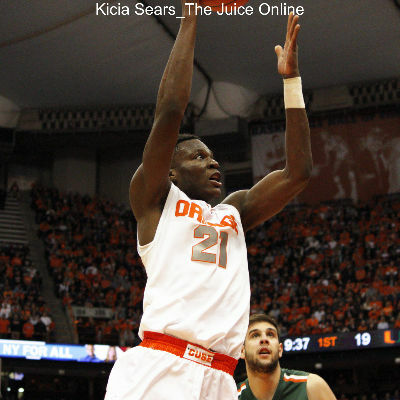 Syracuse has struggled at the line this season, but does it matter? We need to talk about something, even though it does not matter. I understand free throws have value in basketball. A made free throw is worth a point and points are used to determine the winner of a basketball game, specifically that the team that scores the most points is the winning team. I understand “free” is in the title of “free throw” and players who decline something “free” that is given to them are not helping their team. Because “free”. I also understand that using this hashtag is the essential equivalent of trolling a basketball team. After all, it is only used when said team loses and, in said loss, said team follows the following path: If (number of missed free throws) > (margin of loss), then #FreeThrowsMatter. I also understand that rudimentary mathematics says that, since the box score says Syracuse lost to Pittsburgh last Saturday by six points and missed ten free throws along the way, if they had made all ten free throws, they would have won by four points. Because math. Most importantly, though, in a scenario in which Syracuse made every free throw they attempted in the game, everything else in the game would still play out exactly the same way, i.e. nothing changes based on the score, time remaining, etc. Right? That means that, as the game’s final minute started, Michael Gbinije’s fastbreak layup against a passive Panther defense would have given the Orange an 87-80 lead (after all, since Syracuse had collectively missed ten free throws to that point, they would have had ten more points on the scoreboard and everything else would have been exactly the same). With this seven-point lead, the Orange would have then still defended the ensuing Pitt possession with four men coming up toward the halfcourt line, trying to force a trap and steal with only one man back in the key. That makes complete sense, right? Especially when, after Pitt scored on that possession to “cut the Orange lead to five”, they would not have fouled and let the Orange rush down the floor and shoot a quick three. Because teams nursing a five-point lead with under 30 seconds separating them from victory rush up the court and jack three-point shots. Oh, wait, reality has to kick in somewhere. And reality says there were many, many opportunities for the Orange to affect the game with the clock in motion. If you want to just stick with looking at the box score, you can start with Trevor Cooney shooting 3-of-12 from the floor and 1-of-7 on three-pointers. Or how about Syracuse committing 14 turnovers to Pitt’s ten? While we’re checking out the Pitt side of the box score, how about Sheldon Jeter and Chris Jones coming off their bench to pile up 33 points on 13-of-18 shooting from the field? Could the Orange have defended them better? Or are they, especially Jeter, filed under “bench guy who comes out of nowhere for a career high against Syracuse” followed by “internet-typed drawing of guy shrugging his shoulders with his hands in the air” as if it were fait accompli? Jeter had 18 of those 33 points and, what probably should be at least just as concerning, five offensive rebounds to go with zero defensive boards. Going beyond the box score (hold on, I know it’s likely uncharted territory for you, but we can make it through this), the sophomore forward converted those five offensive rebounds into two scores, a missed shot (which he rebounded and converted into one of those aforementioned field goals), and two shooting fouls where he went two-of-four from the line. There’s six Panther points right there that simple boxing out could have taken off the board. Boxing out is a fundamental like making free throws, right? I guess #BoxingOutMatters. Trevor Cooney threw an inbounds pass that was tipped back at him by a defender and the ball landed on his shoulder while he was still out of bounds, giving the ball to Pitt. #InboundingMatters. 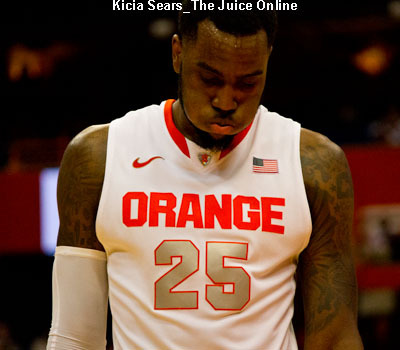 And how about Rakeem Christmas, the leading man for the Orange who should be mentioned for awards starting at All-ACC First Team and only go up from there? Those two infractions were Christmas’ third and fourth fouls of the game. The Panthers scored 22 points after second whistle, including six field goals in the paint. Four of those baskets are described in the official play-by-play of the game as lay-ups. Christmas had six blocked shots in the game to that point. With the freedom to play aggressively on defense Christmas would have had if he still had two fouls, do you think he might have provided more of a deterrent in the paint. Oh, so, #AvoidingDumbFoulsMatters. In short, there are probably thousands of things that affect the outcome of a basketball game, which is essentially an ever-evolving living organism until either one team decides it can no longer compete and plays accordingly or the final horn sounds. Syracuse’s loss to Miami last month illustrated exactly how many little things can cause a team to win or lose a game. Cooney inbounds to Christmas near the corner on his side of the court (the other three SU players are on the far side of the court), ideally about 17 feet from the basket on the baseline. Cooney then cuts inbounds on the far side of Christmas, who hands (or tosses) the ball back to him for a three-point shot from the corner. Christmas must establish good position before Cooney is handed the ball because he will not be able to move much as the play develops without being at risk for being whistled for an illegal screen. Christmas also cannot be too close to the baseline, as it would force Cooney to come in too close to the baseline and possibly behind the backboard when shooting. Cooney’s pass to Christmas must be away from the defender, but easy to Christmas to handle, because if the center has to move to catch the ball, it throws off the timing of the play and his ability to set a good screen. Cooney has to make a sharp cut off Christmas to rub his defender off to create space. The handoff (or toss) between the two players must be clean. Cooney has to quickly get to the corner (including with a dribble if it was a handoff), square himself to the basket, and shoot. goes over the screen, away from the baseline, instead of chasing him into the screen? And it does not start in the waning seconds of the game. It happens on. Every. Play. Remember that when you are looking at the box score. Oh, and if you are so box score reliant, you should have noticed something else in the box score. Just like Syracuse, Pitt missed exactly ten free throws in the game. So, tell me. Did #FreeThrowsMatter to Pitt? A 1996 graduate of Syracuse University, Jim has reported on Syracuse sports for the Syracuse University Alumni Club of Southern California on nearly a decade, where he currently resides. 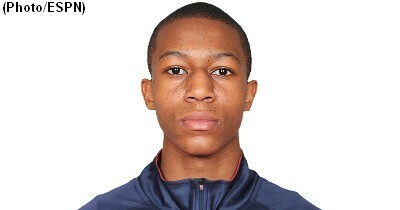 He has also written a fantasy basketball column published by NBA.com. Follow him on Twitter @DSafetyGuy.